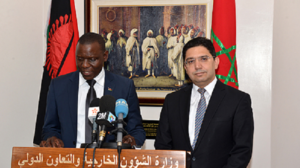 Malawi has exacerbated the Polisario’s diplomatic troubles when it announced Friday its decision to withdraw its recognition of the SADR, the so-called Sahrawi republic, self-proclaimed by the Algeria-backed separatist front. Malawi is thus the 35th African country to withdraw its recognition of the SADR that is not recognized by the UN nor by any major capital in the world. Only a handful of the countries that proclaimed their backing to the Polisario and its pseudo republic at the height of the Cold War in the 1970s are still supporting the separatist movement. 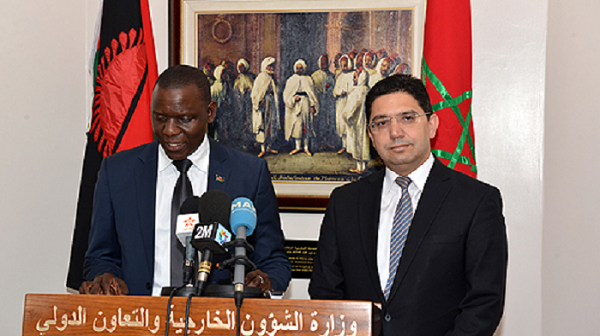 This waning support shows that African countries are increasingly aware of the reality of the Sahara issue and are making diplomatic decisions in accordance with international legality and the UN Charter, Moroccan Foreign Minister Nasser Bourita said at the end of his meeting with his Malawian counterpart Francis Kasaila, in Rabat on Friday. These withdrawals exacerbate the Polisario’s growing isolation, and at the same time they revive hopes for a political solution, negotiated under the aegis of the United Nations. Actually, all countries that have withdrawn their recognition of the SADR have voiced support to the UN efforts seeking to reach a lasting and mutually acceptable political solution to this regional dispute. And the Security Council is no stranger to this new dynamic. In its latest resolution on the Sahara adopted late April, the UN body called for the resumption of negotiations in a spirit of realism and compromise. On the basis of the report presented by the UN Secretary-General, Antonio Guterres, the Security Council recommended taking into account the efforts made since 2007, namely the presentation by Morocco of the autonomy plan that the international community considers a “serious and credible” basis for the settlement of the Sahara issue.